Abstract: Social media data is a rich source of behavioural data that can reveal how we connect and interact with each other online in real time and over time, and what that might mean for our society as we continue to speed towards an increasingly computer-mediated future. At the same time, as more and more Canadians are joining and contributing to various social media websites, their automatically recorded data are rapidly becoming available to third parties to mine for both commercial and academic purposes. As a result, questions around why and how data consumers’ use social media data are becoming pertinent. This talk will review different approaches to Social Media Data Stewardship (the collection, storage, use, reuse, analysis, and preservation of social media data) and discuss some ethical implications of working with such data. 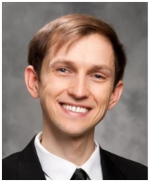 Bio: Dr. Anatoliy Gruzd is an Associate Professor in the Ted Rogers School of Management at Ryerson University. He is also the Director of the Social Media Lab and a co-editor of a new, multidisciplinary journal on Big Data and Society published by Sage. Dr. Gruzd’s research initiatives explore how the advent of social media and the growing availability of social big data are changing the ways in which people communicate, collaborate and disseminate information and how these changes impact the social, economic and political norms and structures of modern society. Dr. Gruzd and his lab are also actively developing and evaluating new approaches and tools to support social media data analytics and stewardship. His research and commentaries have been reported across Canada and internationally in various mass media outlets such as Foreign Affairs, Los Angeles Times, Nature.com, The Atlantic, The Globe and Mail, The National Post, The Canadian Press, CBC TV, CBC Radio, CTV and Global TV.